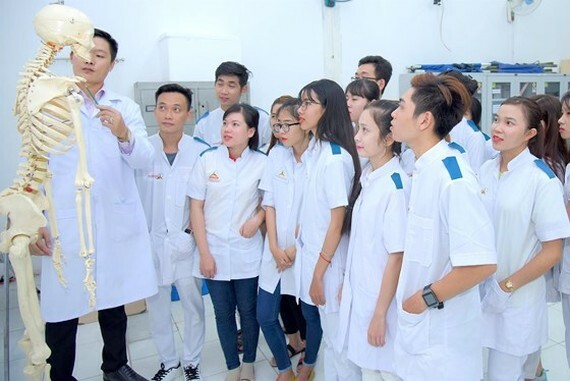 This year, senior high schools in outlying districts in Ho Chi Minh City announced to reduce admission quotas to enhance vocational training for weak students. The Department of Education and Training yesterday announced that 112 public senior high schools will reduce admission quota to 67,299 students. Hence, of 99,997 ninth graders who will sit the entrance examination into senior high schools, more than 32,00 of them will have to study in private senior high schools or enroll into a vocational school. Amongst senior high schools reducing admission quotas, Hiep Binh School in Thu Duc District planned to decrease 270 followed by Tran Khai Nguyen School in District 5 and Pham Van Sang in Hoc Mon District each by 225. 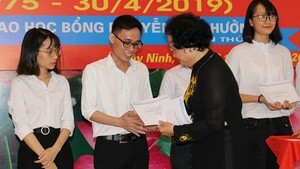 Regarding more than 32 candidates who fail to make the cut, Deputy Head of the Department of Education and Training Nguyen Van Hieu said in previous academic year, more than 70 percent of junior high schoolers pursue their studying in public facilities. However, this year, according to a guideline of the municipal People’s Committee, the education sector should classify students so that 30 percent of junior high or senior high schoolers will continue their study in vocational training facilities by 2020. To achieve the goal, public schools must cut the admission quotas and just 60 percent of junior high school graduates can pursue their learning in senior high schools. The entrance senior high school examination will take place in June 2 and 3.